Build your vocabulary while building castles. Is there a better alternative to LexiCastle? Is LexiCastle really the best app in Puzzle category? Will LexiCastle work good on macOS 10.13.4? 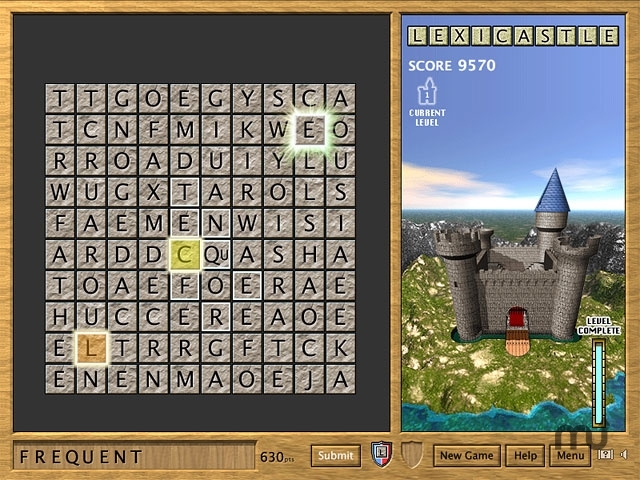 In this fun word search game, you link adjoining letter blocks to create words and score huge points! The higher the points, the faster you will construct your castles! How many castles can YOU complete? Huge, 10 x 10 grid of letters! Words can be up to 15 letters long! Special power-ups and bonus blocks! Continue your game from where you left off! Game adjusts difficulty to your skill level! Challenge yourself in Action Mode! Fixed problem concerning the high score list. LexiCastle needs a rating. Be the first to rate this app and get the discussion started!